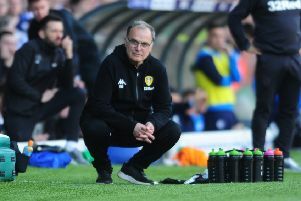 Leeds United were roared on by a huge travelling army at The Hawthorns. Around 2,600 fans made the journey to the Midlands as the Whites suffered a heavy defeat at the hands of the Baggies. YEP photographer Bruce Rollinson was there to capture the support in these photos - simply click on the yellow icon on the image above to see them all or click here.